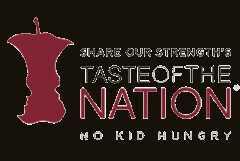 Princeton’s Taste of the Nation is Monday, April 26 at the Westin in Forrestal Village. Don’t miss out on this premier gourmet food tasting with your favorite restaurants. While you enjoy fabulous food and wine (and much, much more), you’ll be helping to stamp out hunger in your own back yard. 100% of your ticket price goes to organizations fighting childhood hunger. Local beneficiaries are Mercer Street Friends, Isles, HomeFront, and the Food Bank of South Jersey. It’s a good thing – grab some friends and come out for a wonderful evening! Monday (4/19) is the last day to get a discount (from $85 to $75) with my special code, PRFAITH, when you purchase advance tickets online.